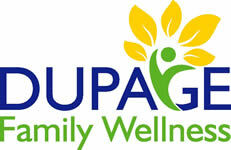 Visit DuPage Family Wellnes for the latest blogs. It has been so beautiful out weather, so I want you to enjoy it without back pain. 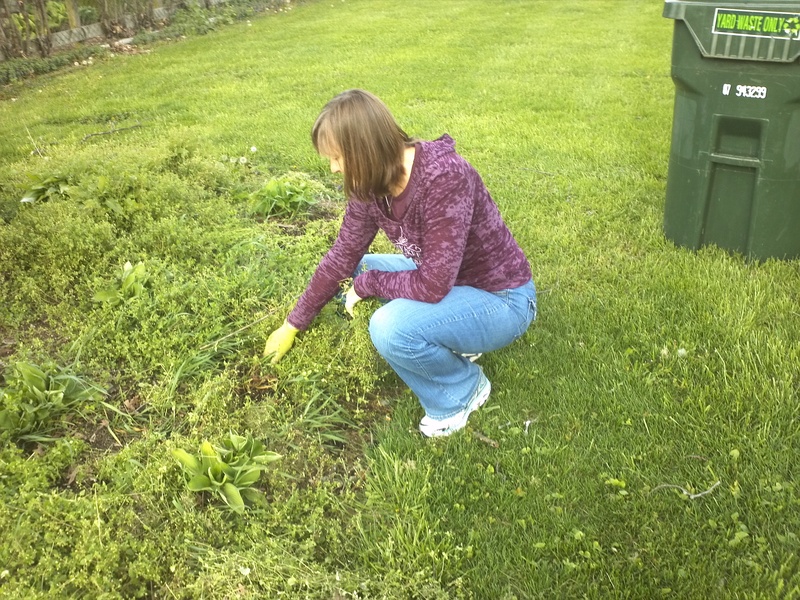 Therefore, I'm sending some quick tips on how to plant those flowers (or pull those weeds) without straining your back! If you are not an avid gardener, don't worry, these tips are useful for any task that requires reaching down to the ground such as picking something up, doing laundry, unloading the dishwasher, etc! The most important thing to remember is to use your hips to bend, and not your back. What do I mean by this? Well check out the following pictures! 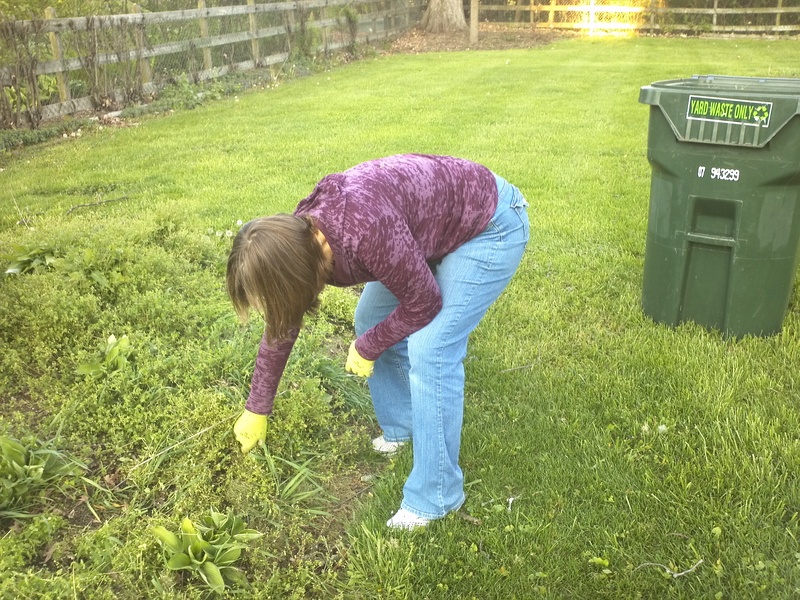 Wrong way to pull weeds! Great posture! Nice Squat! Nutrition has recently become a huge concern of mine. Until recently, I didn't realize the direct relationship between what we eat, and conditions including arthritis, heart disease, high blood pressure, high cholesterol, stroke, diabetes, acne, allergies, cancer, autism, ADHD, headaches, irritable bowel, heart burn, overall fatigue, general aches and pains, and many more that affect virtually everyone in our country. Do you have trouble opening your mouth through your whole dentist appointment? Does your jaw make popping and clicking noises when you open or close it? Do you get headaches in a regular basis? Read more: Do You Have TMJ Disorder? Foot Pain: Could it be Plantar Fasciitis? Do you have a nagging pain on the bottoms your feet? Is it worst when you take your first steps in the morning, or after sitting for a long period of time? You may have plantar fasciitis. This is a painful condition in which the fascia or other structures on the bottom of the foot become inflamed. It is a common condition that many people just deal with and don’t realize that something can be done for it! Read more: Foot Pain: Could it be Plantar Fasciitis? Have you ever seen sand volleyball or track athletes in the Olympics with long strips of blue, black, or pink tape down their arms or legs and wondered what this was? It is called Kinesio Tape and it is used to help heal many different conditions. The tape mimics the skin, and microscopically lifts the skin to improve blood flow and lymph drainage. Because it is made of cotton, it is comfortable, breathable, and can be left on for 3-5 days. It is water resistant, so it can survive showering and swimming. Dr. Tripp was hit with a line drive while pitching in a coed softball game. After 2 days of limping around she put Kinesio Tape over her large bruise. Not only did the area under the tape heal more quickly than the rest of the bruise, but the overall pain decreased dramatically once it was taped. If you are having pain and are wondering if Kinesio Tape could help, call us today at (630) 448-0255. Shin splints is a general term to describe the pain that many runners and other athletes get in the front or even backs of their lower legs. This pain is often brought on by increases in training, long periods or standing, or beginning an activity after being sedentary. The actual pain of shin splints, otherwise known as medial tibial stress syndrome, is an irritation of the periosteum (outer layer of bone) on the tibia. This typically occurs because of fatigue or trauma of the muscles and tendons that attach to the bone. There are a few reasons that some athletes may be more prone to having this painful condition. Many people think that having pain in their shins is just a necessary evil that goes along with running, but it is important to have looked at, and there is a lot that can be done to treat and prevent it. Shin pain with running should not be ignored, because if it continues to progress it can lead to stress fractures. Come into the office for an Active Release technique treatment. This will reduce tension and scar tissue. With the Chicago marathon, cross country season, and many other races quickly approaching, runners are putting in more miles than ever. If you or someone you know is experiencing shin pain, or has any questions feel free to give Dr. Tripp a call at (630) 448-0255. It has been found that about 50-70% of women experience back pain at some point during their pregnancy. It is easy to see understand how this would happen since the average weight gain is 25-35 pounds. As the woman’s center of gravity moves forward, the curve in her low back increases. This in addition to hormonal changes can cause severe back pain. How often should I see a chiropractor during pregnancy? Obviously every patient is different, but Dr. Tripp typically recommends coming about as often as a woman sees her OB. This would mean approximately once a month during the first trimester, twice a month during the second trimester, and weekly during the third trimester. 5 of the Most Common Types of Headaches- and What to Do About Them! Almost everyone out there has had a headache at some point in their life. For some of us, it’s once in a blue moon, but for others it’s something we experience on a weekly or even daily basis. Some people have gotten so used to getting a headache around 4:00 every afternoon, they have just accepted this as normal! Headaches come in all sorts of shapes and sizes, such as migraines, tension headaches, chemical induced (aka hangover), cluster headaches, etc. My job as a chiropractor is to figure out when it comes to these headaches, is what is causing the problem, and if anything can be done to fix it! Sure taking medication or an anti-inflammatory might temporarily help with the pain, but is a lack of medicine what was really causing your symptoms in the first place? Tension Headache- These are the most common type of headache. They often start in the back of the head at the base of the skull, and work their way around in a hatband type of distribution. Tension headaches are often related to trigger points in neck, posture, or TMJ dysfunction. Migraine- a true migraine often begins with an aura, or visual changes like tunnel vision. They can be on one of both sides of the head. They typically last from 4-72 hours, and are often associated with visual and gastrointestinal disturbances. Cluster Headache- an abrupt and severe, but short lived headache that usually happens between 1-3 times a day over a 4-8 week period. It usually feels like a severe stabbing pain over one eye. Hypertensive Headache- a pulsating headache that typically begins in the morning and subsides over the course of the day. It is associated with high blood pressure, obesity, stress, lack or exercise, and a high salt diet. Sinus Headache- Usually felt over forehead and cheeks, and comes from swollen sinuses and increased pressure. Now the big question, what can I do if I’m suffering from one or more of these? Obviously, it depends on which type of headache you’re suffering from. Of the 5 types listed above, the tension headache responds best to chiropractic care. In our office, we use spinal manipulation in combination with Active Release Techniques (ART) to quickly treat both the joints and the muscles involved in the problem. These same techniques in addition to dietary and lifestyle changes are also very helpful in treating the other headaches listed above. If you or someone you love is suffering from headaches, let them know that this isn't something they should have to live with. Call (630) 448-0255 with any questions or to schedule a consultation. I was so pleased with the care that I received from Dr. Jamie Tripp [Thomure]. She is very thorough and very caring about each and every patient. She always reviews your chart and spends time going over with you what your issues are. She makes sure that you are satisfied with the treatment that you received. Her techniques are so amazing and they do help to relax and relieve your stress and pain. I highly recommend seeing Dr. Tripp for your Chiropractic needs. You won't be disappointed at all. Do give her a call for a consultation. You won't be disappointed. I have already recommended a few of my friends to go and see her and they too are quite pleased with their results. Dr. Tripp [Thomure] was esential part of my training and success at completing the 2011 San Francisco Marathon. I came to her at the beginning of my training cycle when shin splints flared up so bad that they even bothered me when I walked. Her expertise in the use of ART helped alleviate the severe pain and soreness of my shins almost and allowed me to continue with the training cycle. I was so impressed that I made it a point to see her once a month during my training. This was great because towards the end of my training cycle, when my IT Band was getting aggrevated by the high mileage, she once again used her ART technique to give me immediate relief. I completed 26.2 hilly miles of the San Francisco Marathon and there was no shin pain or IT band issues at the finish line! Thank you Dr. Tripp!!!! I still use some of the stretching techniques that you taught me! Congratulations on your one year anniversary!! Dr. Jamie Tripp [Thomure] is one of the new breed of chiropractors who is also very good with soft tissue and sports injuries. She knows and practices ART, a treatment approach familiar to runners, tri-athletes and us aging boomers who want to remain active. I have also used her for post surgical rehab (meniscus repair) with excellent results. She has a great attitude to go along with her technical skills.